The close of the ’70s was a pivotal time for the Rolling Stones, with ten years of great albums and tours and intense decadence. 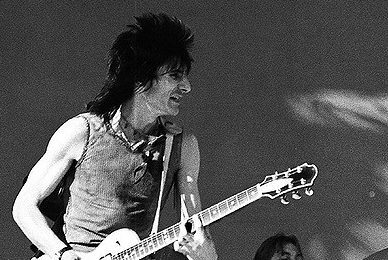 In 1979, and with the Stones off the road and having spare time, guitarist Ron Wood released a new solo album, Gimme Some Neck, and was putting together a band to play his songs and some classic blues and rock covers on a tour of the U.S. 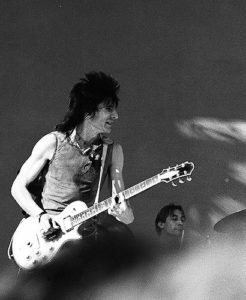 He enlisted jazz bassist Stanley Clarke, former Faces keyboardist Ian McLagan, Stones confederate and saxophonist Bobby Keys, drummer Joseph “Zigaboo” Modeliste and on guitar, also with time on his hands, Keith Richards. At the time no one knew how important this unsung side-project would be for the Stones, and especially for Richards, who was battling both a heroin addiction and the Canadian legal system following his infamous 1977 Toronto drug bust. The timing of Wood enlisting Richards for his band could not have been better or more crucial to Richards, and ultimately to the Stones. 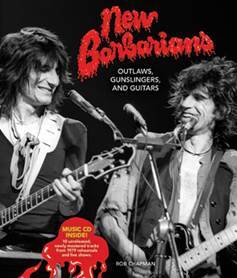 The Barbarians’s importance and the band’s brief life is a largely untold saga in the Stones’ history and a new book, New Barbarians: Outlaws, Gunslingers and Guitars, offers a new look at it all. You could say The Barbarians’ story began with Keith Richard’s infamous drug bust in Toronto in February 1977. Unlike his other brushes with the law due to drugs, this time it looked highly likely that Canadian authorities were going to put Richards in prison for a very long time – possibly for life. In the end, after nearly two years of legal limbo Keith was allowed to serve his sentence by enlisting both the Barbarians and the Stone into playing two charity shows in Oshawa Canada, on April 22, 1978. The band became known for hard-edged music, but it also gained notoriety for events such as the riot at the New Barbarians’ first concert in Milwaukee-when the “special guests” did not appear during the show. This and more wild, rollicking stories are included in New Barbarians: Outlaws, Gunslingers and Guitars, which features behind-the-scenes anecdotes about the band members as well as dirt about its famous tour, new in-depth interviews with band and crew members and more. 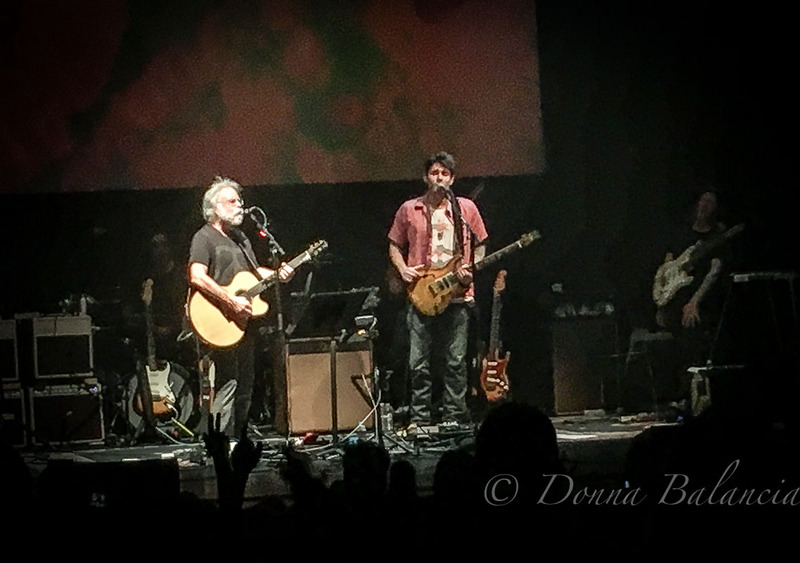 In addition, there’s over 300 photos – the majority unpublished – as well as a 10-track CD with songs from the band’s 1979 U.S. tour. 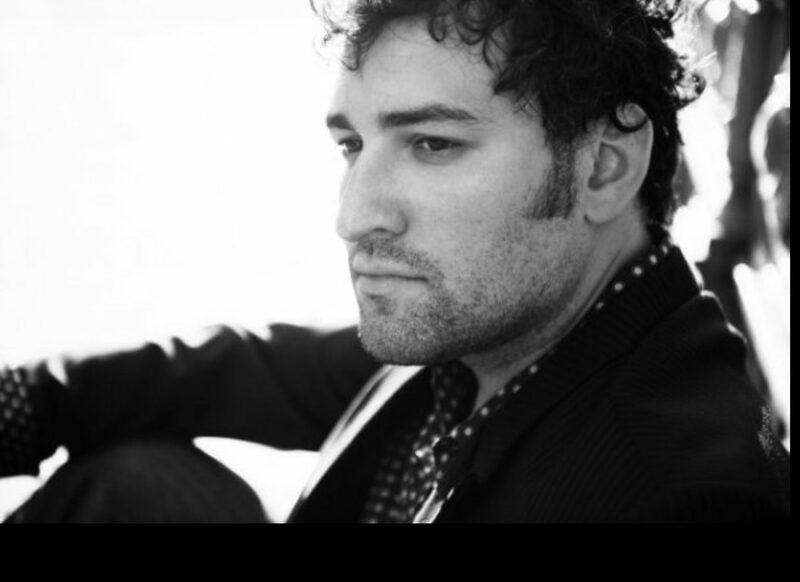 The band enabled Richards to avoid doing jail time doing what he loved to do, playing rock n’roll on stage. Richards seemed to find a true joy again in playing rock ‘n’ roll while he was in the Barbarians. 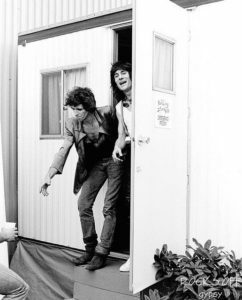 Indeed, as Keith once said, “the Barbarians saved my life.” The band, the music, and the shows were fun. All that from a band that lasted about a year and who only played twenty gigs. Few bands, let alone side-projects, had such an impact and also had as much fun as the New Barbarians had. The band’s history was short, but their legacy was long. Rob Chapman spent twenty-five years on the label side of the music business, working with such notable artists as Warren Zevon, Robert Plant, and Billy Idol. A former radio show host, he’s particularly fond of blues and reggae. Rob lives with his wife Alyssa and daughters Izzy and Jade in Minneapolis.